When winter finally loosens its grip to make way for spring, you know Biltmore Blooms can’t be far behind! From the earliest flowering shrubs and vivid tulips in our historic gardens to the glorious progression of color along the Approach Road, we’ve been delighting guests with our annual celebration of the season for more than three decades. 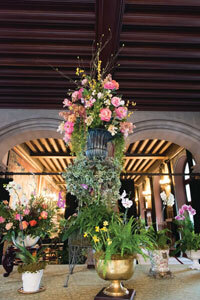 The splendid spring show isn’t limited to the outdoors, however; our floral displays team brings the outside inside with beautiful arrangements throughout Biltmore House and across the estate. According to archival notes and records, the Vanderbilts frequently entertained family and friends at Biltmore House in the early 1900s. It is that love of gatherings and celebrations that inspired A Vanderbilt House Party—an exhibition that took more than two years to plan and carry out. 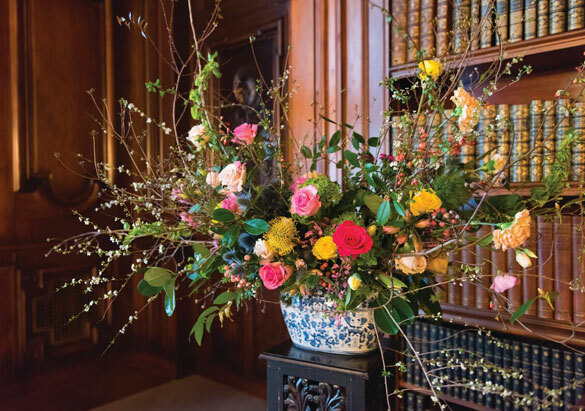 "Because George and Edith Vanderbilt were such gracious hosts, we believe they would have wanted something amazing right at the Front Door to make their guests feel special," said Lizzie, "so we started with a grand floral display for the Vestibule." 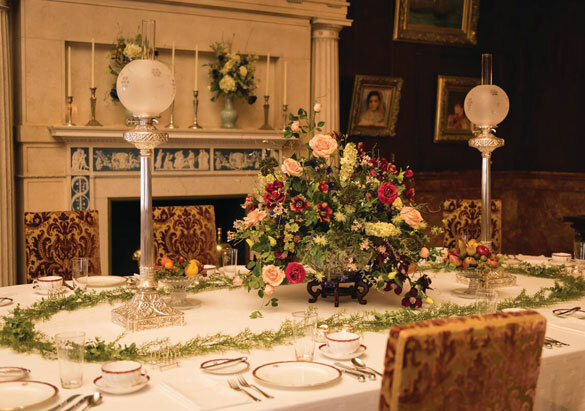 For the Banquet Hall, which you'll see at the end of your tour during A Vanderbilt House Party, Lizzie and her team designed an exceptional spring showpiece for the formal table that is set as it would have been for an evening dinner party. 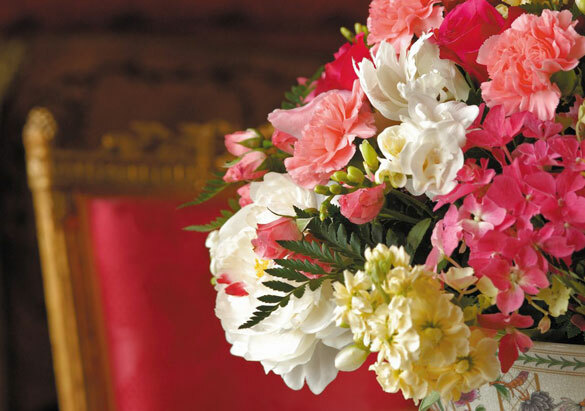 Throughout the house, there are plenty of beautiful and traditional cut flowers including roses and lilies, but many arrangements incorporate plants that are native to Western North Carolina such as rhododendron, viburnum, and japonica—all of which might have been used during the Vanderbilt era. 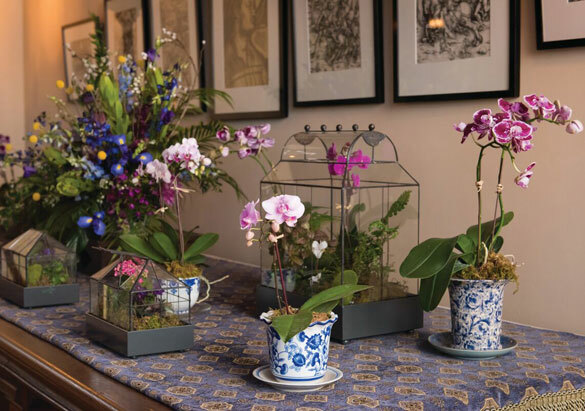 "Using botanical materials that flourish on the estate this time of year is a perfect way to highlight both Biltmore Blooms and A Vanderbilt House Party," Lizzie said. "In addition, we've been able to open the Winter Garden this year, allowing our guests to walk through that amazing space, just as if they were guests of the Vanderbilts. Enjoy all the color we've added to this 'indoor jungle' for the season—it's full of bright begonias, crotons, orchids, and anthuriums, which symbolize hospitality!" Don't miss a moment this spring! 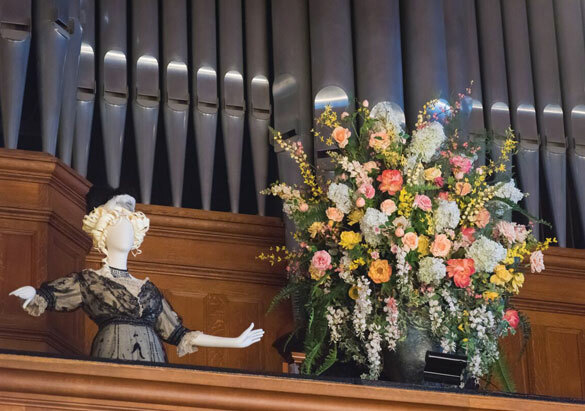 Experience all the excitement of Biltmore Blooms now through May 24 and A Vanderbilt House Party – The Gilded Age, which continues through May 27. Both events are included with your daytime admission to Biltmore.